Good weather guilt has set-in big time. Sunny dry days are swoon-worthy in summer, but hard to enjoy in January because of our drought fears and Weather Channel warnings about snow storms in other parts of the country. But, as I showed you in my earlier post Cymbidiums in the Winter Garden, the garden sure is happy. Here’s another cymbidium orchid to add to last week’s bouquet. One barely-open Sussex Dawn Concolor peeks above multiple closed buds on the same stalk. What else is blooming? It is the right time of year for Scoliopus bigelovii , aka Slink Pod, Brownie or Fetid Adder’s Tongue (that’s a lot of names for a tiny plant), to come up. George and I always take a walk in Muir Woods around New Year’s to see the Slink Pods, but heard that because of the drought none had bloomed, and we thought it would be too sad to go. Click here to see photos of our last year’s walk, with many more Brownie photos. These Slink Pods are in a pot in the garden. George gave them just enough water so they’d come up. It’s definitely early for the brilliant pink puffs to appear on the ornamental plum tree in our front garden. The honeybees love the flowers. Another small but wonderfully dramatic flower is open, this is Billbergia Nutans, a bromeliad. And finally, a few stalks of paperwhite narcissus, also small but powerfully fragrant. Is it blooming springtime or shivering winter where you are? Imagine my delight to learn that September is National Honey Month! You know we’re very fond of the golden elixir around our house, and we’re so proud that our honeybees have been happy and healthy enough to produce lots of it. Here are some honey highlights. 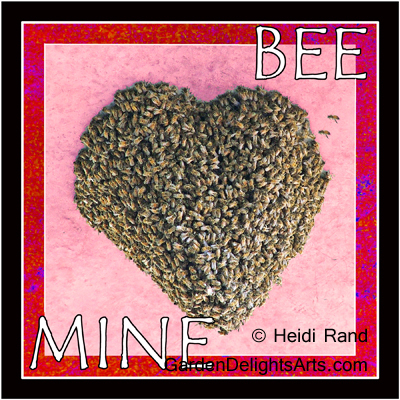 First, worker bees (all female) visit flowers and plants to gather nectar. They bring the nectar back to the beehive, transform it into honey, and pack it into the wax honeycomb that they built. We leave most of the honey for the bees’ own use, but in good years there’s extra, and we take a bit. Recently we got a hand-crank extractor, which makes getting the honey out of the comb much easier than our old “crush” method. It also leaves the honeycomb intact, so we put it back into the hives for the bees to use again. In the photo George and our friend Joan are “scoring” the capped honey so it will spin out of the comb easily when we put it into the extractor. Did you know that many people eat local honey to control allergies? The theory is that trace amounts of pollen from local plants to which people are allergic remain in the honey, and that eating it year-round can help the body cope with the allergens. Sweet medicine, for sure! What to do for George’s birthday? We hadn’t taken a walk through the Regional Parks Botanic Garden in Tilden Park for a while, so we headed up there after birthday brunch. 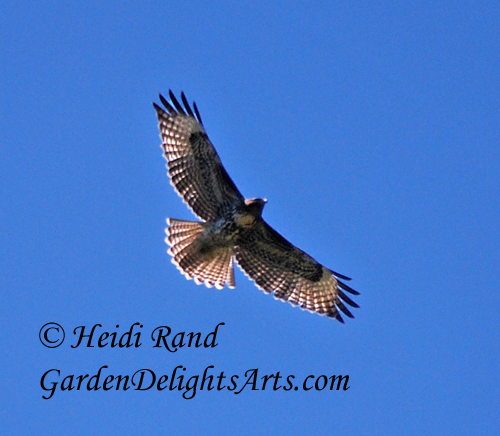 The Garden is amazing, ten acres of native plants, including many rare and endangered. 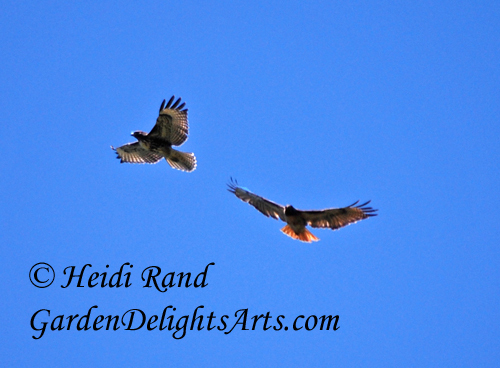 We were welcomed by two red-tailed hawks, circling high above. One dipped a bit lower, riding the warm air. 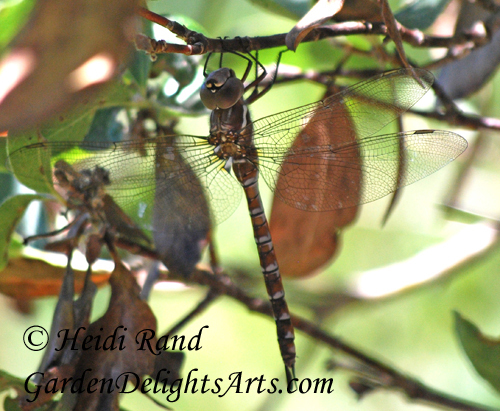 A dragonfly zipped by and rested on a branch for a moment. There have been some additions and changes to the Garden since we last visited. 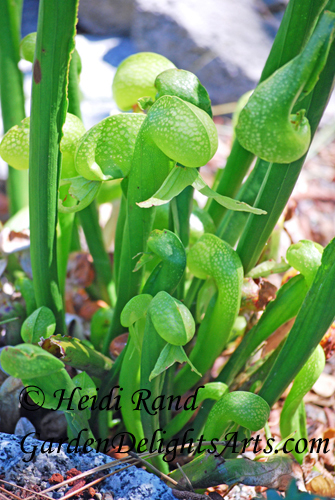 Or maybe we never noticed this stand of Darlingtonia californica, or California Pitcher Plant, a carnivorous plant. 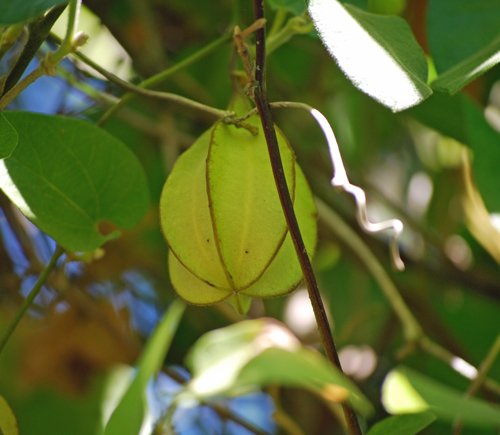 The California Pipevine, or Dutchman’s Pipe (Aristolochia californica) is resplendent in several places through the Garden. 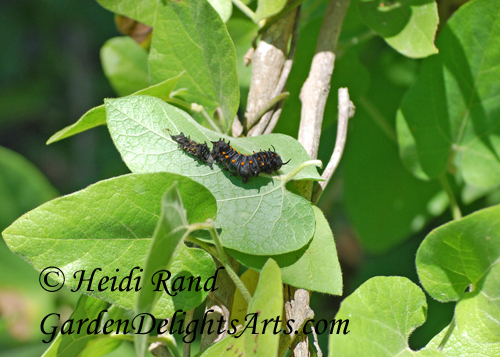 And although we didn’t see any mature Pipevine Swallowtail butterflies, we saw several caterpillars. This one had just shed its skin. This is a Dutchman’s Pipe seed pod. 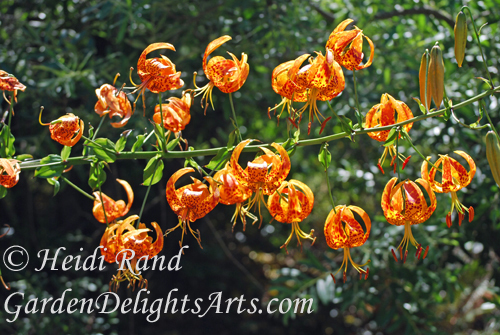 On to an amazing display of Humboldt’s Lily. There were several towering up to about 6 feet high, just covered with flowers. A single Humboldt’s Lily flower. The honeybees and bumblebees were out in full force. 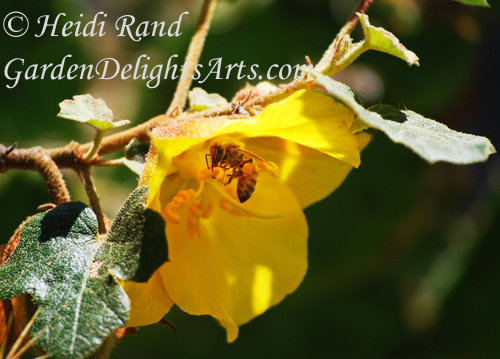 Here’s a honeybee, with a pollen pack on its leg, busy feeding from a flower on a flannelbush shrub. 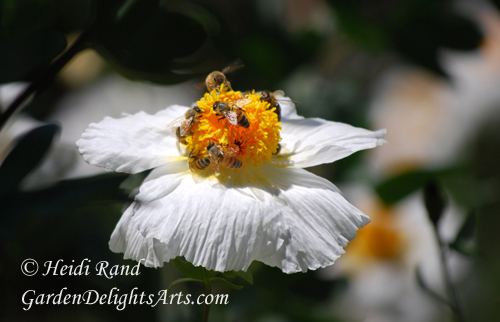 I couldn’t believe how many bees were on the many flowers of a Matilija Poppy plant. This one flower had at least ten bees coming and going for the half hour we sat and watched, amazed. 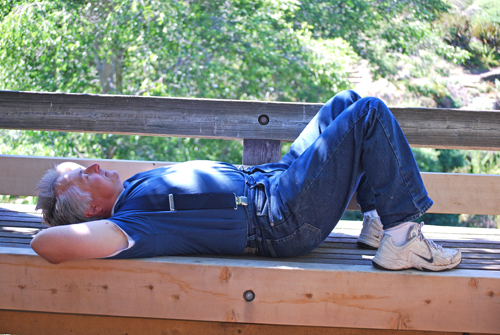 A wonderful birthday walk in the Garden, and now … a nap. 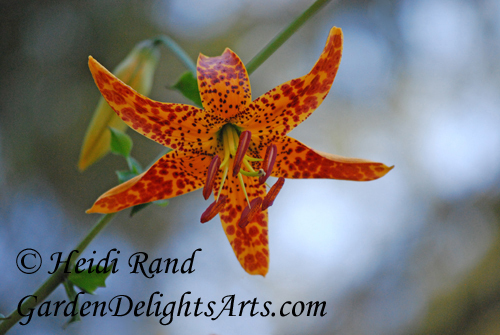 Have you been to the Tilden Botanic Garden? Is there a Botanic Garden in your city? What’s your favorite plant or animal there?